Let Tropical Inn be the backdrop of an unforgettable getaway! 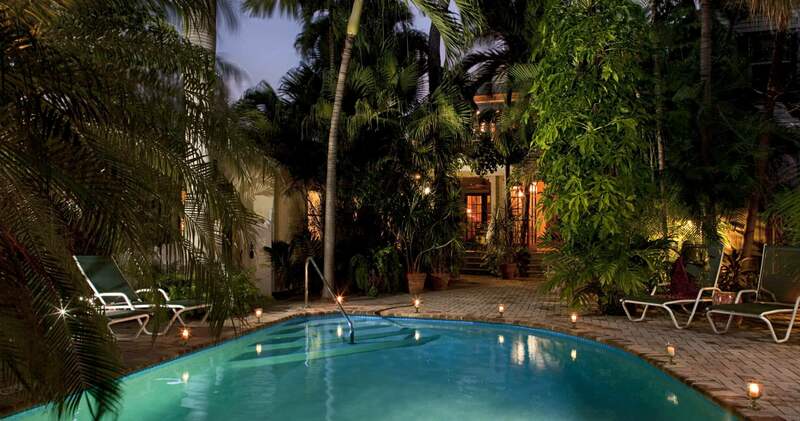 Spend your days at our Key West, FL B&B and cottages with a pool and beautiful gardens. 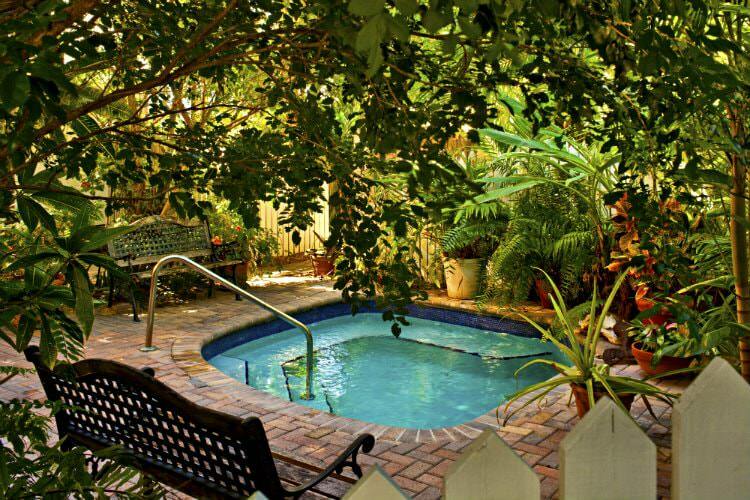 The romantic garden at Tropical Inn is a very special secret, incongruously hidden away, just steps from the dynamic energy of Duval Street. A riot of greenery punctuated by flowering accents and exotic orchids, it is soothing by day and positively magical by night. 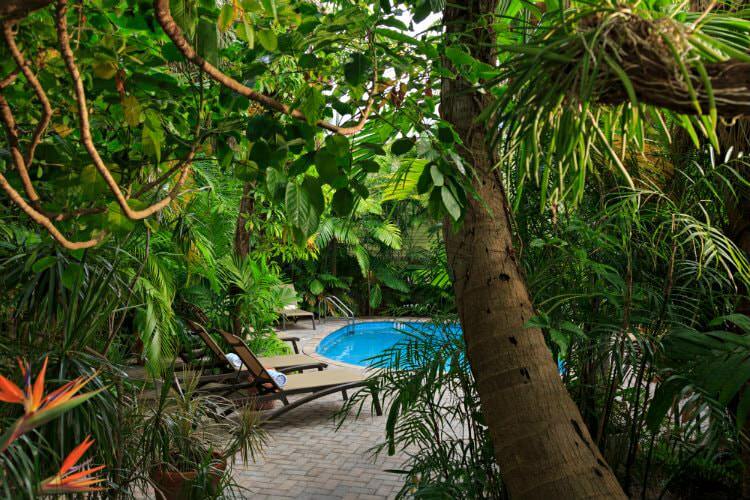 Your search for the perfect Key West accommodations has finally come to a close – let Tropical Inn provide you with all the peace and tranquility you imagine during your getaway to Paradise. Traversing the ground level corridor of the Main House, guests are delightfully surprised to emerge into an expansive, exuberantly lush green oasis of calm. Reminiscent of the sequestered courtyards of New Orleans’ French Quarter, visitors are always amazed to discover such tranquility just steps from the bustle of Duval Street. The sunnier upper level features an inviting waterfall pool and flows via a brick pathway through the foliage to the lower level, where you will find a bubbling hot tub … perfect for relaxing after an active day. It is not unusual for the sound of falling water to turn a good afternoon read in the shade of a palm tree into an unplanned but refreshing nap. Evenings often find guests enjoying the sunset hour with cocktails in the hot tub and returning there for night caps after an evening on the town. Comfortable furnishings with ample seating provide perfect venues for sharing special moments, dining al fresco, or simply enjoying the rare opportunity for quiet reflection while indulging the senses. And don’t miss the Love Lock bird cage – a Tropical Inn tradition that you can read about here.